As part of a Bank of Ireland backed £4m investment programme, Northern Irish company W&G Baird is installing a Speedmaster XL106-8-P featuring Inpress Control.2. The intention is that it will produce the work currently done by two ten-colour presses while also significantly reducing its carbon footprint. To mark the occasion Northern Ireland enterprise Minister Jonathan Bell will officially launch it on 4 March. The decision to buy the Speedmaster XL 106-8-P was not made lightly and its research included site visits to six existing customers. “Each of them told us that they would never buy a press without Inpress Control in future,” says Patrick Moffett, managing director of W&G Baird. Other features that will help increase the sheets on the floor include the UK’s first Autoplate XL 2. It is a fully automatic simultaneous plate changer on which the plate cylinder is decoupled from the gear train to perform the plate changing process. At the same time as changing the printing plates (plate mounting and removal) it is possible to wash the blankets and impression cylinder. This will be driven from the latest version Pressroom Manager, a workflow that will link in with prepress for now and with the company’s MIS longer term. The press also has Inpress Control 2 which reduces waste even more than the first generation of this automatic colour and register control device. Technotrans has supplied ink.trac, a bulk inking system which will run with Flint vegetable-based inks. There will be significant economic and ecological benefits in this project. 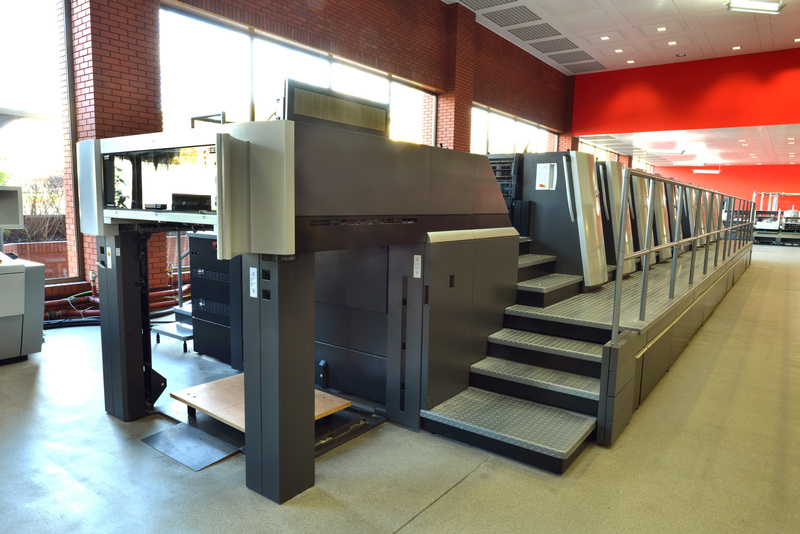 “With the help of Heidelberg Germany we measured the annual output from our two SM 102 ten-colour presses and then mapped them on to the XL 106 press. The results were extremely impressive. We estimate we will reduce paper usage by 217 tonnes which delivers a reduction in CO₂ emissions of 276 tonnes and equates to a saving of around 3,200 trees per year,” says Mr Moffett. “Energy required to produce the work will be down 18%. This combined with IPA alcohol and ink usage reductions, means that the total annual saving in CO₂ emissions on the XL press will be over 350 tonnes. ”All this, along with the quality and consistency of the XL and the strength of Heidelberg’s service offering in Northern Ireland, made the decision to purchase an XL an easy one,” he says. W&G Baird takes its social responsibility seriously, both environmentally and also in terms of its impact on employees and the wider community. The press is currently being installed and training undertaken. For customers this investment will mean even better quality and colour control with no compromise to service levels. W&G Baird supplies sectional work including magazines, books, educational products and commercial work. The company, based in Antrim, has been in business since 1862. W&G Baird was named 2016 Brochure Printer of the Year in the recent Irish Printer Awards.